← What IS the Common Core? “The stepfather of a Bassett High School art teacher who committed suicide in July has announced plans to file a wrongful death suit against the district after claiming his stepdaughter’s death resulted from bullying by administrators. Bassett High School is part of the Bassett Unified School District in Los Angeles County, California. You might recall that another bullied teacher who took his own life, Rigoberto Ruelas, taught in the Los Angeles Unified School District. Southern California, much like the rest of the country, does not seem to treat their teachers very well. The tragic case of Jennifer Lenihan’s suicide seems to have certain things in common with the suicide of Mary Thorson. Both teachers reported regular harassment by administrators in front of students. Both teachers took their own lives while on leave from their positions. Both teachers’ families pinpoint the toxic work environment as the main reason why their loved ones were pushed towards suicide. As someone who has had a front-row seat to the systematic bullying of teachers by administrators, I know the psychological toll it takes on the victims. Like most victims of bullying, they start to internalize the message that they are somehow flawed human beings. As some sort of hybrid of Stockholm Syndrome and a Manchurian Candidate, they begin to identify with the agenda laid out by the bullies that they are not deserving of a career teaching children. Jennifer Lenihan and Mary Thorson took their own lives while on leave from their schools. The timing might not just be mere coincidence. The fact that a teacher is not inside the classroom is solid proof that the bullies are correct about their fitness to teach. A teacher not in the classroom has all the minutes and hours to think, to allow that message to sink in, to internalize it and, eventually, to lose all hope entirely. The bullying of teachers has sort of, by default, become my pet cause. It was the reason why I created this website in the first place. It is a particularly insidious form of bullying because it takes place inside of places that are supposed to be safe havens for children. The media, government and school districts have exerted much effort recently to stamp out the bullying of children in schools and on the internet. We know that children who are bullied wind up with deep emotional scars that could take a lifetime to heal, if they heal at all. While children should not be bullied at school or anywhere else, we will never be able to eliminate it if the adults in the building are bullying each other. How can the adults create a bully-free environment for their students if they do not know what it looks like? Assuming this is all true, which it certainly is not, should this be grounds for termination? But it is not true at all. If Francesco made “life hell for colleagues”, why would those colleagues elect him chapter leader while we was languishing in a rubber room? I cannot speak for all teachers but I certainly would not vote for a guy who slapped papers out of my hand. “Portelos was relegated to a succession of rubber rooms more than a year ago, after complaining that Hill broke DOE rules permitting parents and staff to review the school budget. Heck, they even tag the article at the bottom with the term “Whistleblowers”. The event that is Francesco Portelos is a product of the systematic bullying of teachers taking place in schools nationwide. He is doing what everyone should do with bullies: fight back. It is easy for teachers to be cowed when they are written up by administrators for frivolous things or hit with retaliatory charges or have investigators come to their homes and ransack their garbage (which was done to Christine Rubino). But both Francesco and Christine fought back and both are winning. It should not have to come to this. Teachers should not have to come to work in fear of what lies in store for them once they go through those schoolhouse doors. Not only does it distract from the already difficult job of teaching, it creates an environment of fear that automatically gets passed down to the students. We should not have to be put in a position where we have to waste time and brain power protecting ourselves against bullies. No person in any line of work should have to endure those circumstances. While we can be heartened by the examples of Francesco Portelos and Christine Rubino, their stories are offshoots of a toxic climate imposed on our schools by the Bloomberg regime here in NYC and similarly odious school regimes nationwide. Now that Bloomberg is slinking out of office and a friendlier administration seems likely to take the reins, it is time for our union to take action. That action needs to be in the form of an anti-bullying clause in the next contract. Bloomberg has allowed us to languish without a contract for the past four years, which means a new contract will be one of the incoming mayor’s priorities. I and many other teachers would forgo retroactive pay (which we probably will not get anyway) for solid protections against bullying. Administrators should face serious consequences for harassing teachers. 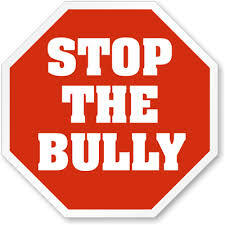 Teachers should have viable avenues of protection if they become victims of administrator bullying. Schools should no longer be isolated fiefdoms where principals wield absolute power and destroy people with impunity. This will take some organizing on our part. Something tells me our union leadership is not too keen on making this an issue at the next contract negotiations. I smell a petition brewing. Petition calling for Bassett Unified School District to do a thorough investigation into the bullying of teachers. Petition to reinstate Francesco Portelos to the classroom. This entry was posted in An Embattled Career, education reform, School, teaching and tagged Bullying of Teachers, Christine Rubino, education, Francesco Portelos, Jennifer Lenihan, Mary Thorson, Rigoberto Ruelas, School, Teaching, Work. Bookmark the permalink. Well said, so true, and the primary reason I am leaving. I am sorry to hear that Tom, although I am not surprised after what the DOE has done to you. well said… and we wonder where kids get the idea from. I only hope you guys across the pond do not have to deal with it the way we are dealing with it here, although you are getting too much of our crappy reform movement. I am a teacher. This has happened to me. Well said David. I immediately thought of Thorson when I heard the news of Jennifer. We need more to fight back. I smell another forum brewing. Please work to pass the Healthy Workplace Bill in your state! We, too, have lost wonderful teachers in our state!